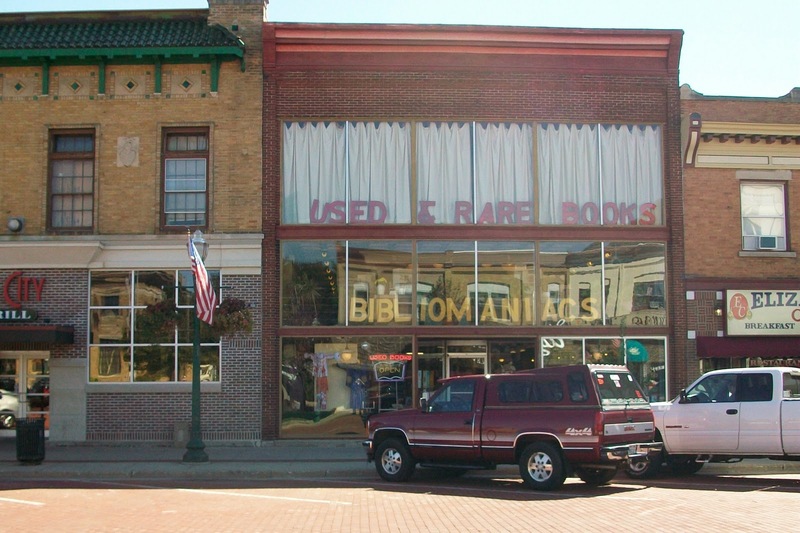 For many years I frequented a used book store in Delavan, WI. It had a great name – BIBLIOMANIACS! The store was located on a block that has a wonderful “old American” feel. The red brick street was graced on both sides with old fashion street lamps each serving as host to a proudly waving old glory. I found glorious treasures at Bibliomaniacs (that’s Book-Nerd speech for “awesome books”) throughout the years which still grace my bookshelves. But there was one set of books adorning their shelves that eluded and teased me for many years. 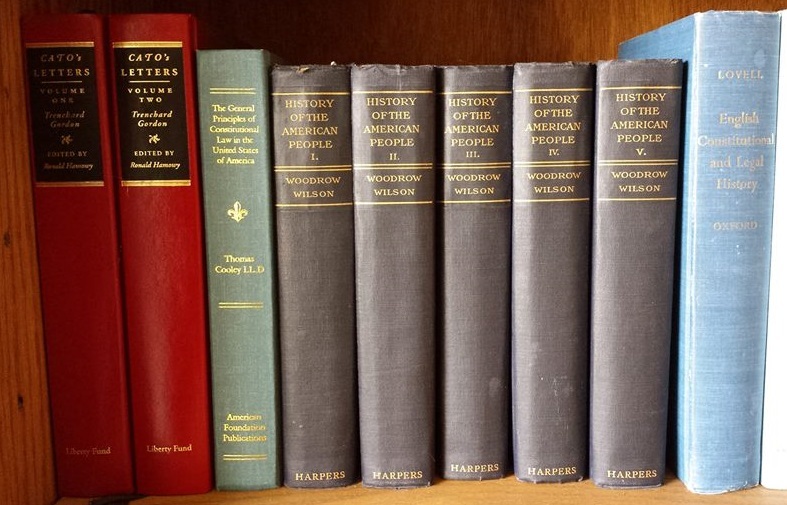 The set is President Woodrow Wilson’s five-volume “History of the American People.” An original edition! (“Original Edition” is Book Nerd-Speech for “This is so awesome I’m going to either cry, wet myself, or both, I must have it!”). Wilson wrote it when he was President of Princeton University. I say the books eluded and teased me because I’m on a very tight budget and the set was a little pricey at $200.00. But there it remained for many years. 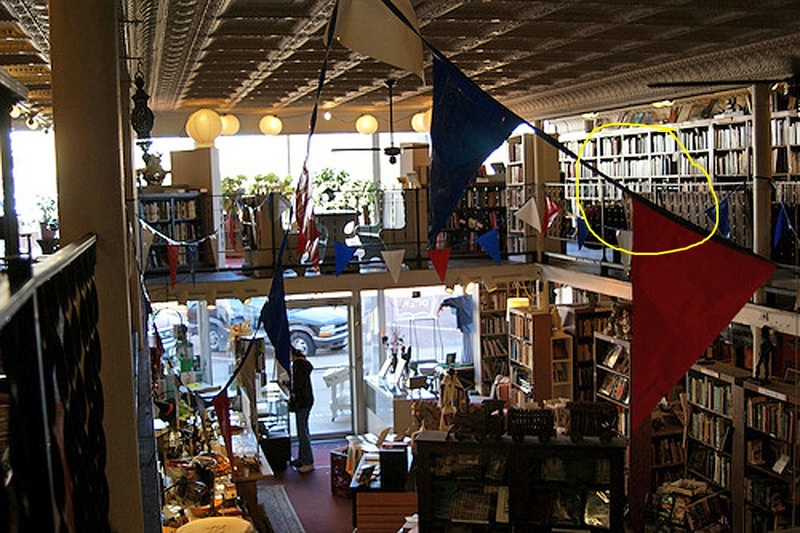 Every time I’d visit Bibliomaniacs I’d head to the second floor shelves (see circled spot in the interior photo to the right) to see if it was still there – Hello Old Friend! I’d open the volumes and smell the old paper, not just a quick wiff, but a deep inhale, hold for 30-seconds, then exhale reverently (That’s Book-Nerd narcotics, old book smell). I began to wonder if I was the only person alive who recognized their worth. I walked by that set for over five years, sniffing, reading, coveting it, and walking away sad I wasn’t wealthier. The set was like an old faithful friend waiting for my visit. (I know, I know, I’m a dork! I accept that). One day I got wind that BIBLIOMANIACS was going out of business and I went into Book-Nerd mourning. At the time I worked at Lake 961 Radio Station in Lake Geneva which was about twenty minutes away from Bibliomaniacs. So on Saturday, July 20, 2013, after my “Saturday at the 70s” on-air shift, I went to BIBLIOMANIACS for their going out of business sale hoping to find one last treasure before my favorite haunt closed for good. I parked on that brick street one last time, got out of my car with a sense of nostalgia, while American flags are waving in the wind. I saw the “Going Out Of Business” banner in the window. Ouch! It was like I was losing a friend. I went in for one last treasure hunt. I spent about an hour looking around. I didn’t find anything I wanted within my price range that I didn’t already have. Then it was time to visit my old friend one last time and say my final goodbyes. I knew that even at half-price the Wilson set would still be too steep for me. So up I went to the second floor where my friend had resided for so many years. I opened volume one to repeat my sniffing and coveting ritual. At the top of the inside cover I see $20.00 written in pencil. I said to myself, “Just as I thought, it went from 40 to 20-bucks per volume,” still too steep. I tenderly put the book back on the shelf realizing that this was the last time I would see this set, my old friend. I wondered who the more fortunate person would be who would ultimately give them a home. I hoped they would end up in the hands of someone who appreciated such things. I gave them one last look, “Bye bye old friend!” – I really am sniffling at this point. I literally ran up those stairs with child-like excitement, carefully grabbed the books off the shelf, I said, “You’re moving in with me Mr. President,” I hurried down the stairs, and laid 22-bucks on the counter. She laughed hysterically, handed me over 90-cents change, and said I made her day. I said my final goodbyes to my benefactor, walked out with the books in a box, laid them on the passenger seat, and then drove home with my treasure. I laid them lovingly on my shelf and there they are to this day, three feet from where I type. I put him next to Teddy Roosevelt for company. I love happy endings. Don’t you?